I love turning messy data into meaningful stories, awesome visualizations and impactful reports. Great data visualization is compelling, aesthetically pleasing, and encourages exploration. The web brings great opportunity to allow audiences to interact and connect with data and data stories in exciting new ways. I spent many years working primarily in static graphs, but find I am now spending more and more time working with interactive data visualizations. I have produced and managed development of larger pieces, and created many smaller pieces myself. I'm always on the lookout for opportunities to collaborate on interesting projects. I have been helping researchers, academics and businesses get the most out of their data since 2010. I consult on research methods, data cleaning, statistical models and packaging results for maximum impact with the intended audience. I am experienced in hierarchical linear models, structural equation models, factor analysis, OLS and logistic regression, and more. 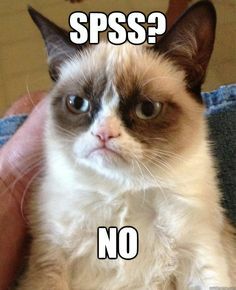 I have taught introductory and intermediate courses on R and SPSS. R is my weapon of choice, but I pick up new languages easily. Arts, engineering, technology & fire. Site 3 Fire Arts is a community group of creative enginerds and technical artists. Together we create large-scale interactive art. A member since 2012, I've wrenched pipe in the desert, wired circuit boards in the snow, written art grant applications in the wee hours, herded all the cats, learned more than I would have thought possible and enjoyed every dirty, sweaty minute of it.